I’ve been producing stories that engage, inform and entertain since 1981. Immediately after graduating with an MSJ from Northwestern University’s Medill School of Journalism in 1981, I began my career as a freelance business journalist by writing for Crain’s Chicago Business. Over the next two decades, I expanded my skills and client roster by writing books on family travel and small business growth; managing national conferences for freelancers; and developing a methodology that supports major research projects that measure and support the advancement of women in the workplace. Today, I manage projects using that same methodology to advance women in the accounting, transportation and other industries. By 2004, I’d done just about everything except be a staff editor, so I joined the Milwaukee Journal Sentinel as a deputy business editor. I remade the paper’s Sunday real estate section, winning a national ‘best’ award from the National Association of Real Estate Editors in 2006. By 2008, the section fell victim to the falling revenues undermining the entire industry, and I turned my attention full-time to the freelance projects I had maintained all along. From 2010 to 2012, I took another rotation as a staffer, this time as a senior content producer at Tribune Digital, immersing in “digital first” publishing and producing interactive features for real estate and career brands. Branching laterally, I became certified as a corporate trainer and media trainer. In 2012, I cycled back again to full-time entrepreneurship, refocusing my company, Wilson-Taylor Associates, Inc., as a strategic communication and media training consultancy. Chicago-based Wilson-Taylor helps organizations and experts develop and deliver strategic messages that build reputation and authority. As I covered and researched workplace cultures, I detected a major trend emerging in the wake of the Great Recession: that the only way to advance in a slow-growth economy is through strategic lateral moves. Career lattices are starting to replace career ladders as the sustainable mode of advancement. And that deserved a book. Based on my extensive understanding of workplace culture and all that research and reporting, I crafted a partnership with the Council for Adult and Experiential Learning that resulted in The Career Lattice, published in spring 2012 by McGraw Professional. Visit The Career Lattice for case studies and to learn how latticing grows careers and companies. 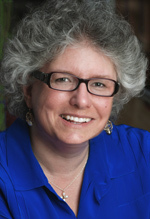 I am honored to be represented by Holly Root of Root Literary. Professional and women’s groups are always looking for speakers about career pathing,career success, and effective media strategies. I’ve spoken to groups ranging from the Chicago COO Forum to freelancers at the annual ASJA conference. Let’s brainstorm about how I can bring an engaging, relevant and lively presentation to your group. I’d love to hear from you.